A story today in the New York Times ponders the question of whether or not a woman can be both a feminist and a supporter of anti-choice public policies. It presents the issue as a question particularly relevant in our modern political climate, made even more pertinent by the upcoming Women’s March on Washington. 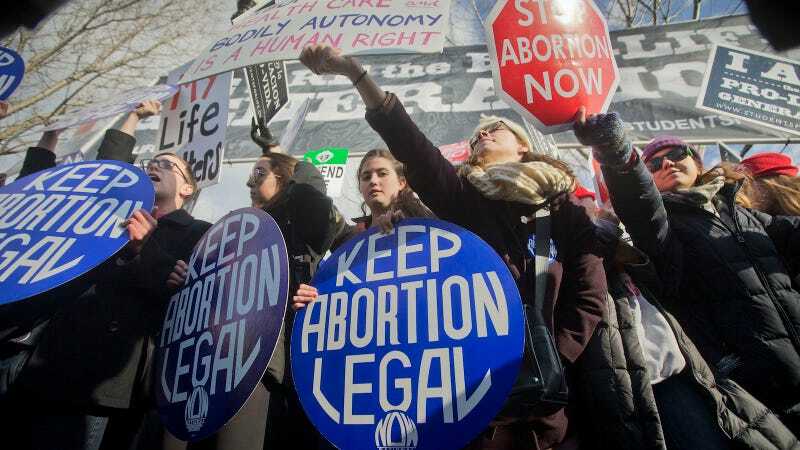 The Women’s March platform is unapologetically pro-choice, a position the organizers reiterated after The Atlantic reported that New Wave Feminists, a Texas-based anti-choice group, was granted partnership status by the march. Though the organizers of the Women’s March quickly withdrew partnership status for the anti-choice group, citing it as an oversight, it seemed to have revived a relatively old debate about whether or not feminism has room for women who actively support eliminating or eroding abortion rights in the United States. If quotes like Yoest’s grate, it’s because this narrative structure about women and politics still endures, one which is used as a bludgeon by anti-choice advocates—these poor mothers and unheralded feminists victimized by abortion-loving mean girls. It’s a tired frame, one that treats women and feminism as synonyms, monolithic in both outlook and interest. It also reduces the abortion debate, fundamentally about the state’s right to physically coerce its citizens, as another bump on the path unity instead as two fundamentally incompatible political philosophies. It would be more intellectually honest to recognize feminists, with all of their varying and conflicting applications rather than to speak strictly of “feminism” as a singular entity (to acknowledge that the conflict between intersectional feminism and liberal feminism isn’t just about women being unable to get along). But if feminism is just a word—just a lifestyle—then tension remains and everything is fair game.